Cathy is a partner in Alston & Bird’s Health Care Group focusing on FDA matters. Ms. Burgess advises clients on matters affecting Rx and OTC drugs, biologics, medical devices, foods and cosmetics, working with clients to spot legal risks throughout product life cycles. With her cGMP expertise, she focuses on quality systems, adequacy of SOPs, investigation reports, inspection management, recalls, and responses to Forms 483 and Warning Letters. She also conducts internal investigations and special audits related to FDA compliance, and helps clients design compliance programs, internal audit programs and other risk mitigation strategies. 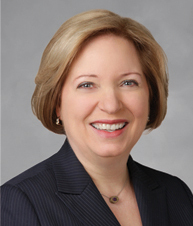 Previously she served as associate general counsel for the American Red Cross, responsible for regulatory matters. Edward (Ted) is a partner in Alston & Bird’s Government & Internal Investigations Group. 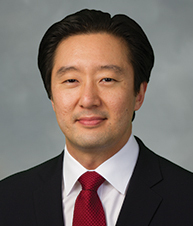 He focuses on white collar matters in the areas of health care, anti-corruption, Office of Foreign Assets Control (OFAC) sanctions, anti-money laundering, and the Foreign Corrupt Practices Act (FCPA). Clients include parties under investigation by the Justice Dept. and other federal and state enforcement agencies. For eight years Mr. Kang was a prosecutor in the Justice Dept. Criminal Division and the U.S. Attorney’s Office for the District of Connecticut, prosecuting high-profile fraud and public corruption cases. 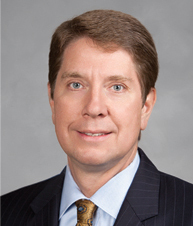 He is a recipient of the 2012 Attorney General’s Award for Distinguished Service. Mark is a partner — and immediate past leader — of Alston & Bird’s Government & Internal Investigations Group. He specializes in white collar criminal defense with an emphasis on health care, internal corporate investigations, compliance program development, implementation and auditing. From 1994-2001 he served as U.S. Attorney for the Western District of North Carolina. He also served as director of the Executive Office for U.S. Attorneys in Washington DC and played a key role in management and policy implementation for the Justice Dept. He holds the Edmund J. Randolph Award for outstanding service to the Justice Dept. ; is Chambers-rated Band One for White Collar Criminal Defense; has been listed in The Best Lawyers in America since 2005; and has been recognized by Super Lawyers Magazine on multiple occasions.